"I feel plain, unlikable and lonely," despairs Frank, a bright teenager from a loving home. "It seems nobody wants to be my friend — or at least my really good friend. What's wrong with me?" Like Frank, many of us experience loneliness, some more than others. The truth is that all people, no matter what their age — even the most outgoing, wealthy and popular — experience loneliness at least occasionally. But sporadic feelings along this line are light years away from facing the rejection of peers on a day in, day out basis. That's how Frank feels. Nearly every day he wakes up to a world where it seems no one his age cares. Perhaps you can relate to Frank. You've been there. Or you are there. Or maybe it's just that you're lonely more often than you'd like to be. You'd like to have more friends. Or at least one or two very special friends you can count on. It’s healthy and natural to want to be around people who care. 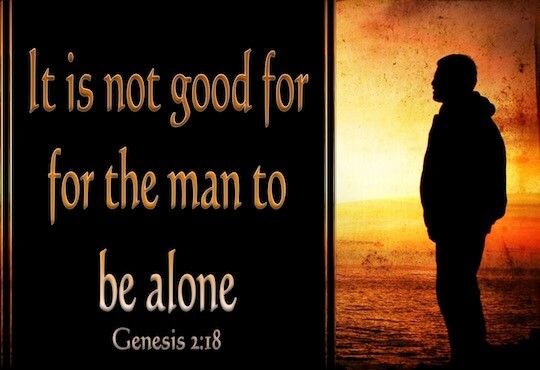 After all, from the very beginning of time, God has said that it is not good for man to be alone. We've all heard the phrase "No man is an island." It's true. We all need others in our lives. 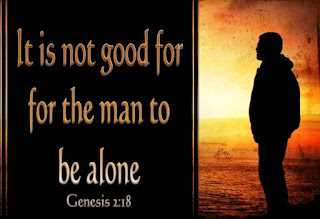 Solomon, the wisest man who ever lived, offers counsel in Proverbs 18:24 on the subject of friendship. He explains that if we want friends, we must be friendly and reach out to others. But reaching out involves risk. Perhaps you think, What if they don't like me? What if they embarrass me in some way? Because we are often afraid of rejection, many of us are unwilling to reach out to others. We take a safer approach and wait for others to befriend us. But if we want friends, we've got to get beyond this. We must realize it is our responsibility to make friends. So just how do we go about it? Here are some great actions to take if your goal is to make more friends. Ask questions. People always like talking about themselves, so initiate your first conversation by asking this potential friend what they like to do. Show interest. Be sure to ask questions that cannot be answered yes or no. For instance, don't ask, "Do you have a dog?" Instead say, "So, tell me about your pets." This gives your potential friend an opportunity to elaborate on the question, not end it awkwardly with a one-word answer. Even more important than asking the right questions is listening (and remembering) the answers. Remember, not everyone will like you. None of us wants to be rejected. Yet, we must realize that sometimes when we reach out, people will decline our offer of friendship. That's okay. Remember that friendship involves risk. And we can only have so many friends. If you have three or four intimate friends in a lifetime, you can consider yourself fortunate. For one thing, you only have a limited amount of time to invest in relationships. If you seek too many friends, you will shortchange yourself; you'll find you do not have a real closeness with any of them. Intimacy takes time and investment. When you discover that your efforts at finding a true friend haven't succeeded, don't give up. Just begin the process all over again. It's truly worth it when someone responds and a great friendship is formed! We need to be willing to slowly share our hearts and allow our friends to do so as well. Everyone is fearful of rejection, but someone has to reach out first. We must be willing to take risks, realizing we really have nothing to lose . . . and a lot to gain. As we seek genuine friends and live the message of King Solomon — if we want friends we must be friendly — we will discover that this biblical principle really works. Just don't give up! Dear Lord, help us to be more friendly so that we can share Your love with those that come into our life. In the Name of Jesus, Amen.